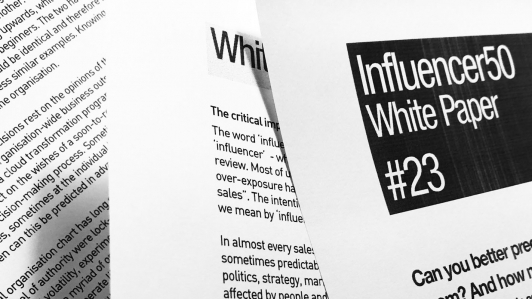 WP#23: Can you better predict who’ll be most influencing in the pitch room? And how much would that help your sales if you could? The ability to know in advance who’ll be deciding your fate offers a critical advantage – the ability to tailor your pitch accordingly and focus on only those most important to you. That knowledge could get us much closer to understanding how organisations really make their purchase decisions. So how could that knowledge be collected? Just leave your details below to get the download link for this White Paper.